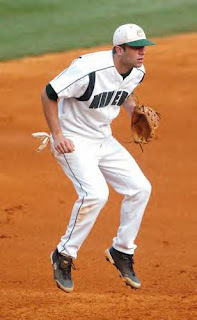 Charlotte 49er third baseman Aaron Bray, a former standout at Independence High, was drafted in the 27th round by the Houston Astros. Bray was taken by Houston with pick 821, a surprise to him and his family, since he had no contact with Houston during his senior season at Charlotte. “Houston was the last team to ask me to fill out a questionnaire. Another team told me they were picking me at the end of day two, but this was a surprise," Bray said. In addition to being Charlotte’s all-time career hits leader, with 293, Bray is only the second player in school history with over 200 hits and 200 runs. Bray finished with 212 runs. Bray is a three-time All-Atlantic 10 selection, the A-10 rookie of the year in 2006 and was named a Collegiate Baseball Freshman All-American that season.